Smooth, fruity, and refreshing, the perfect smoothie is one that fuels your adventures or helps you recover from them. Smoothies are a quick and easy way to consume fruits and veggies, especially with the number of options we have for purchase in Jackson. 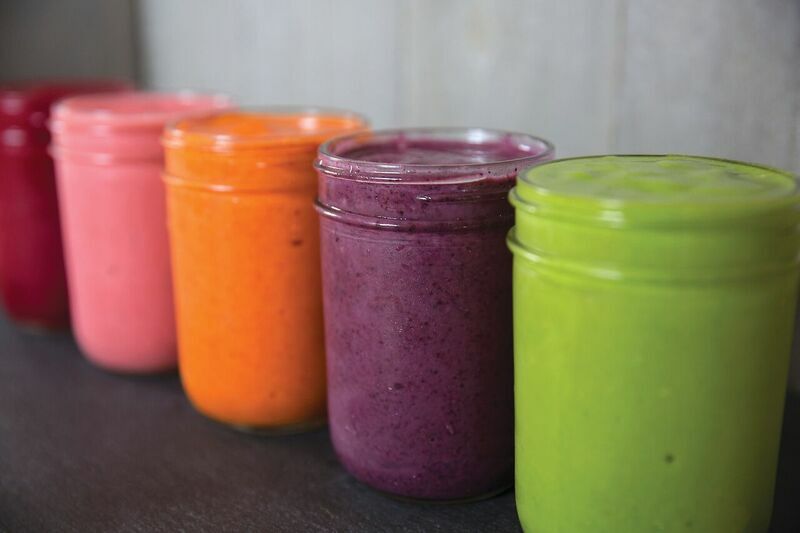 Packed with vitamins and nutrients, smoothies boost your mood, energy, and brain power. So soak in the sun guilt-free with these delicious drinking companions. As much as Cowboy Coffee lures me in with their delicious coffee and warm atmosphere, I like to lighten things up a bit with a smoothie every now and then. Their menu of four smoothies touches on classic flavors that are highly crave-able and consistently delicious. Escape to the tropics with island time: mango, pineapple, banana and orange juice. Get your chocolate fix with the landslide: chocolate, banana, peanut butter, milk and espresso for an additional charge. The Grandberry has a sweet tang from Greek yogurt, raspberry, blueberry, strawberry, blackberry and apple juice. For a little something extra, add protein, almond milk, soy milk, coconut milk, Breve or whip cream. Jackson Whole Grocer’s smoothie menu is divided into two main categories: greens or fruits (besides the make your own options). 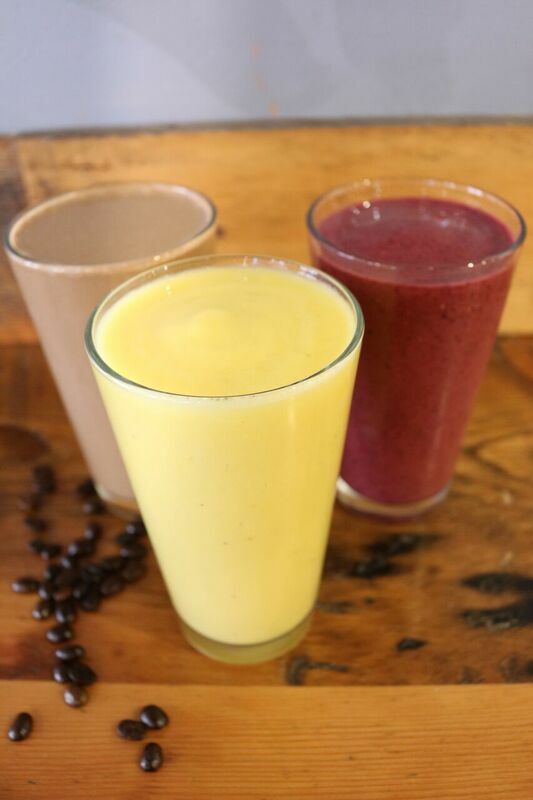 Opt for a 12 ounce or 16 ounce smoothie and take your pick. There are three smoothies containing greens, our favorite being the blue-greenie. This smoothie blends up spinach, spirulina, wheatgrass, blueberries, mangos, bananas and mango juice. Under the fruits category there are five specialty smoothies. The Banff express delivers a jolt of caffeine from the espresso it combines with bananas, organic chocolate syrup, almond butter and almond milk. When it comes to creating your own, JWG break it down for you: start with your fruit, choose your liquid, and add extras like almond butter, yogurt, cinnamon or chocolate syrup. 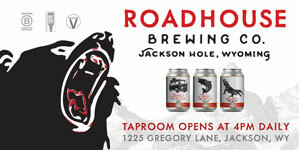 To see the full range of options, check out the menu here. 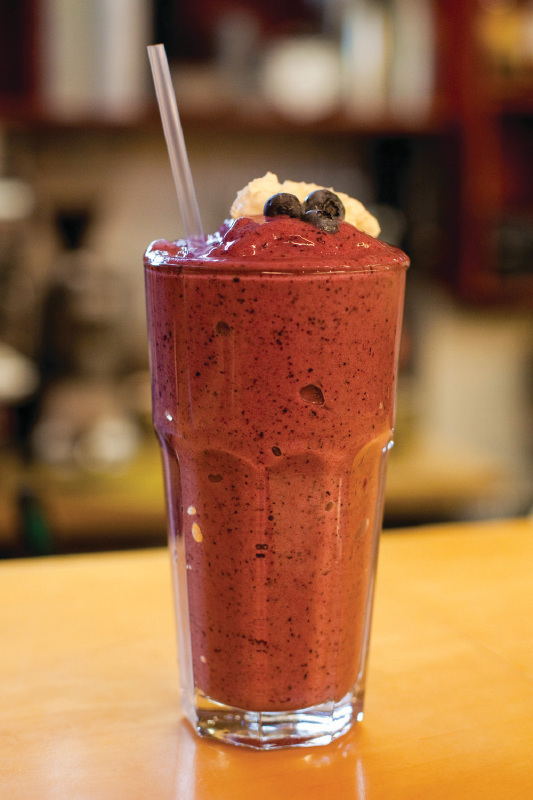 Pearl Street Bagels keeps their smoothies fresh and new by only using readily available fresh fruits. This means there isn’t a set smoothie menu. Instead, you can expect a blend of banana, orange juice and ice blended with fresh fruit. Generally, the fruit is a blend of two fruits. For a little extra power in your step, opt to add yogurt or protein powder. At Haagen Dazs, they blend your favorite sorbet flavor with vanilla yogurt, fruit and fruit juice to create a smoothie that is creamy, delicious and lip-smacking good. Their five flavors include: Aloha mango, pomegranate berry, tropical raspberry, wild berry and strawberry banana. Any of these fruity flavors is sure to transport you out of the mountains and straight to the tropics, just don’t look at the temperature outside. The tropical raspberry option utilizes raspberry sorbet, mango, pineapple juice and orange juice. 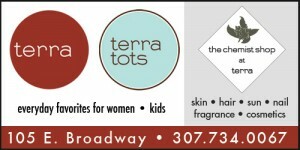 For full descriptions of all the smoothies available, click here. If you can imagine it in a smoothie, Lotus can create it, basically. At Lotus, you’ll find a menu of ten smoothie options. Fruits and greens are blended with only the finest ingredients like gold flax, raw honey, turmeric, and so much more. Choose to blend your smoothie with dairy, almond, coconut, hemp or soy milk, or apple or orange juice instead. If that wasn’t enough, customize it with 15 different organic and raw smoothie boosters, everything from essential oils to bee pollen. 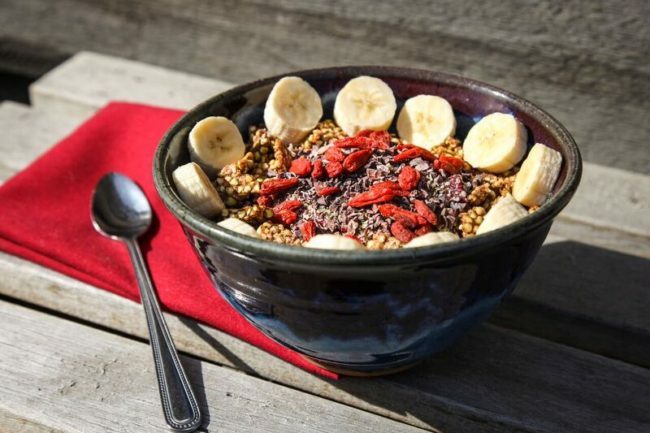 For breakfast, get that smoothie in a bowl when you order the cool, delicious Acai bowl. For the full smoothie menu, click here. 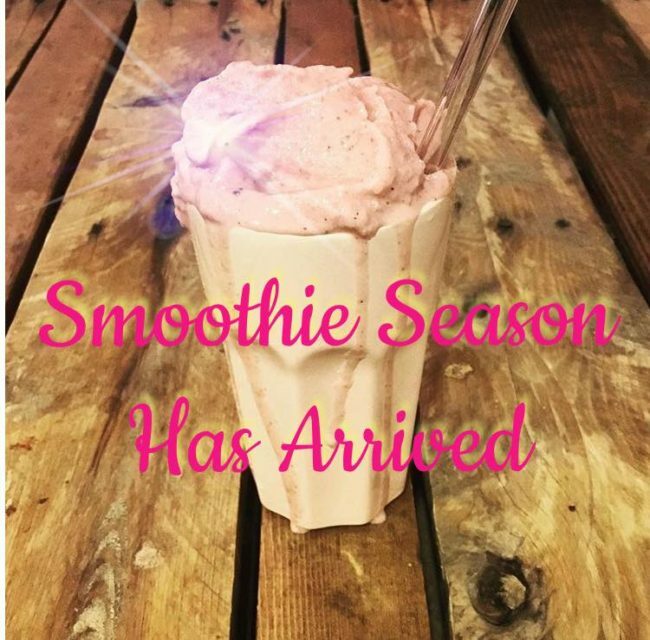 Healthy Being Juicery & Café also boasts a smoothie menu packed with creative extras. Their variety of eight specialty smoothies are wildly different from each other, but each thoughtfully composed. For more of a dessert smoothie, get the wild side or mint chip, which both contain raw cacao. The green detox will leave you feeling clean and easy with grapefruit juice, cucumber, lemon, kale, parsley, avocado, ginger and turmeric. My favorite smoothie sneaks in my favorite veggie: beets! The beatnik is packed with flavor from almond milk, raw beet, strawberry, goji berries, lemon and ginger. Their menu of super food boosters will power you through your day, or add a little extra flavor and texture. For example, I highly recommend adding avocado to any and all smoothies. You’re welcome.